Merchants who use paper Gift Certificates know firsthand what a powerful promotional tool they are but often experience problems with tracking, reporting, fraud and duplicate use. Our Gift Card programs eliminate these problems and increase sales by keeping your customers coming back. Effectively marketing a Gift Card program increases consumer spending and store traffic while promoting customer loyalty and insuring that you never have to give cash back again. When a product is returned, you can give back credit on a gift card ensuring that the money will be spent at your location on a future date. Branding your name and product is big. The more people carrying your gift card in their wallet, the more often your logo and name are seen. Name recognition gives the consumer a feeling of security when doing business with you. Our Loyalty and rewards programs offer many types of solutions to meet the merchants needs. Choose from standard loyalty cards, dollar based reward cards, frequency based reward cards, club discount cards, rebate cards, community based reward cards, franchise loyalty card programs and more. 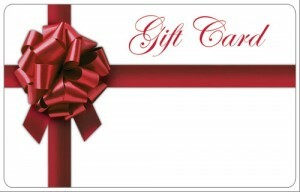 For more information about gift cards and loyalty programs, click here to contact us today.